My name is Alexandria Rhodes and I am a first time author. I have been writing for as long as I can remember. Whether it was “plays” or songs, I’ve always felt the need to write. When I was ten years old, my mom took my brother and me to a few garage sales. Some little girls used this opportunity to look for clothes, baby dolls and maybe some makeup, but I was looking for something specific: a typewriter. I used my allowance I had been saving up and when I brought it home, I started writing. I would spend hours in my room writing out what I thought was going to be a great book. Needless to say, I had no idea what it took to become published or that my writing, then, had probably sucked. I used that typewriter to compose twenty odd pages of my book. I still have those pages but I am nervous to read them! When I got to college, I knew I wanted to major in something that I could put my abilities and passions to good use. I love social media and even put together a fundraiser in 2011 which raised $70,000 for the Tsunami victims. I found myself writing a lot and was lucky enough to get an internship where I wrote for my school’s homepage. During my time in college, the writing bug bit pretty hard. I ended up putting a few ideas together and while on vacation in 2011, the idea of my debut novel, More Than You Know, was born. Walking on Tybee Island beach in Savannah was inspiring to me and I found myself picturing my characters where I was standing. Spending the next two years writing and editing, my book was evolving from a dream to a reality. I could do this! When I was finished, I set out to get published. I was sure that my novel was the next big thing. Unfortunately, I wasn’t getting very far in the query process. Most agents didn’t see how my plot was possible. Which was okay, they didn’t get it like I needed them to. So I did what I had to do which is self-publish. It has been an amazing journey and I have met some wonderfully helpful people along the way. For my first time publishing a book, selfpublishing was the answer. It allowed me to be in control and put my feet in the water to feel things out. With a steady four star rating, More Than You Know has spoken to many what I was setting out to say. I have gained the confidence to call myself a writer and put my work out there. With my never ending writing journals and my iphone always ready to jot down sentences, I will continue living my dream: writing a book that will mean something to my readers. It’s a beautiful thing. Alexandria enjoys reading, writing, reviewing, spending time with family, tweeting (a little too much) and traveling, especially to Savannah, GA and New York City. 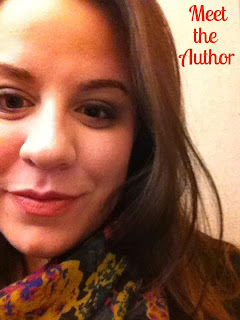 Her writing is heavily influenced by her surroundings and the people in her life. She hopes that her stories will touch the hearts of her readers.